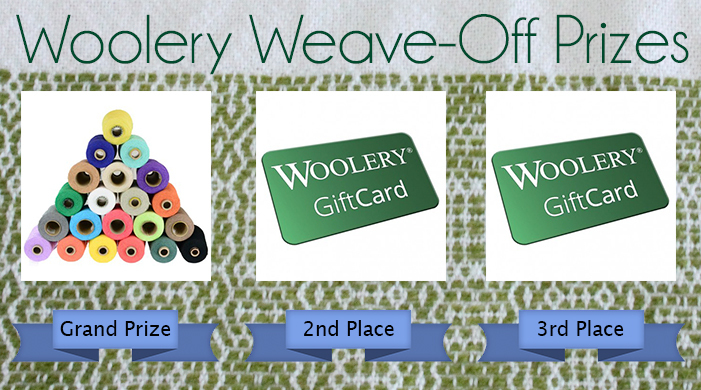 Announcing our very first Woolery Weave-off! 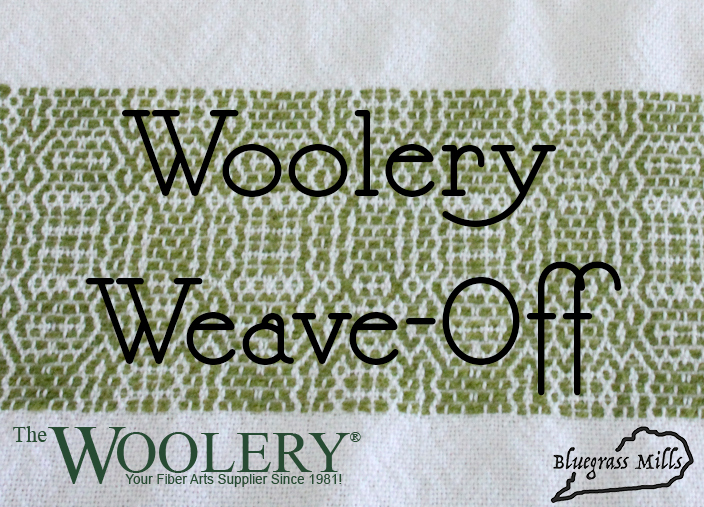 The Woolery is excited to announce our very first Woolery Weave-Off! Grand Prize Winners in each category will get Spectrum Packs of our BGM 6/2 — that’s 20, one-pound cones of yarn in a whole array of colors! You need to use our Bluegrass Mills 6/2 Cotton Yarn to weave your entry, so we're offering 25% off the price of this yarn from January 3rd - January 31st! One entry per person - entries must also contain the name, phone number, email address, and address of the entrant. Contest entries MUST be postmarked by April 1st, 2018, to be considered. Entries postmarked after that time will not be entered in the contest, and will not be returned. You MUST use Bluegrass Mills cotton to weave your towel - All non-clearance colors will be 25% off through the end of January! Winners will be notified on or around April 15, 2018. Winner has 14 days to claim her/his prize. Lists of winners and runners-up in each category will be available by request in writing after May 15th, 2018.